Volunteer-in-Parks is a unique way to support the Apostle Island National Lakeshore. Check out this unique adventure! 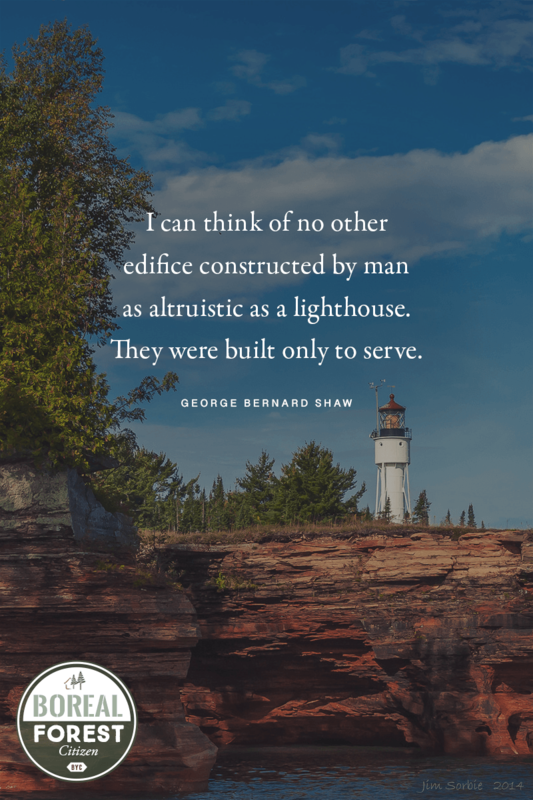 Below are three island opportunities where volunteers are lighthouse keepers. Many of us at Brickyard Creek have enjoyed hikes and historical tours of the island lighthouses. 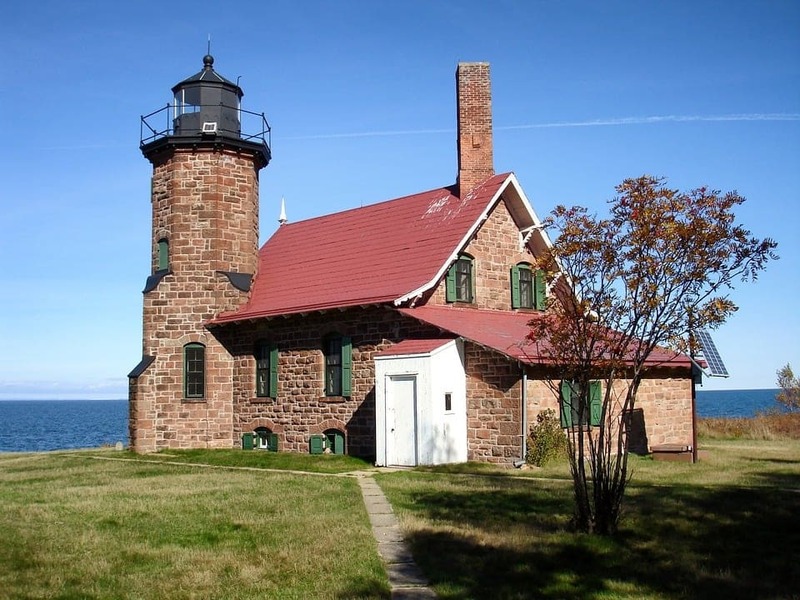 If you’re looking for a more longterm and rugid opportunity, you can apply to be a volunteer lighthouse keeper through Apostle Islands National Parks. 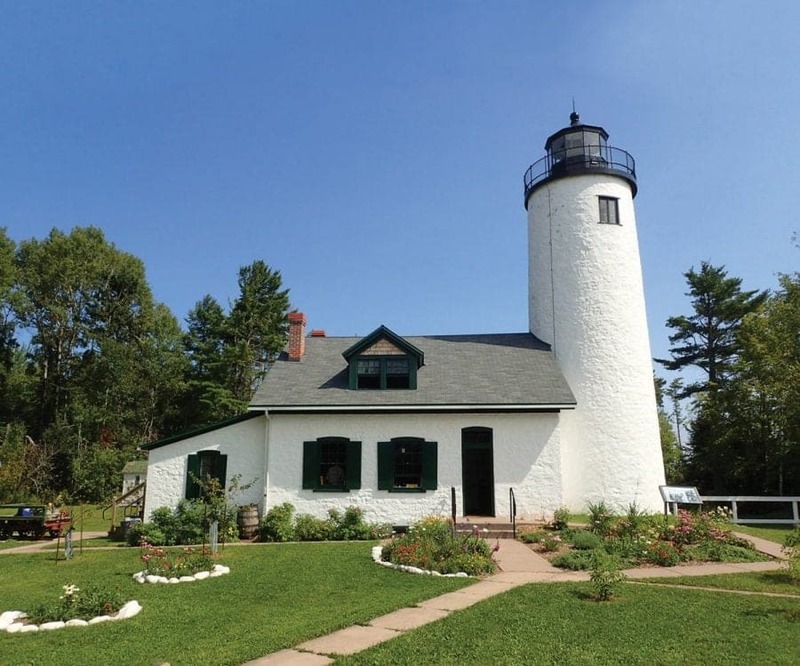 Volunteer positions are an excellent way to assist the National Park Service achieve its goal of protecting the Apostle Islands and their visitors, and making this priceless resource available for public enjoyment. Volunteers can learn new skills and gain experiences available nowhere else. The Devils Island light station consists of several structures in a very dramatic location. Situated at the northernmost point in the state of Wisconsin, the 80-foot steel light tower overlooks an extensive formation of sea caves. Despite its distance from the mainland, Devils Island is one of the more heavily visited lighthouses. The Devils Island keeper can expect to climb up and down the tower stairs many times on a summer weekend. There is one campsite on the island, near the dock on the south end. The brick “Queen Anne” style keeper’s house is approximately 300 feet from the light tower. Two bathrooms with flush toilets, bathtubs, and showers; potable hot and cold running water; and limited DC electricity make Devils the most “upscale” of the quarters. There are two alternative boat landings on Devils Island. One is a rock ledge landing about ¼ mile from the quarters. The other is a dock about a mile away. Volunteers may have to carry their gear this distance if the waves are high on the east side. The Michigan Island light station has two towers. One is the oldest of the Apostle Islands lighthouses; the other is the tallest. Climbing the towers and the steep dock stairway will provide plenty of exercise. The island is remote and visitation is comparatively light. There is one campsite. The keeper’s quarters is a two-story brick house built in 1929. There is no running, potable water. Volunteers pump water from the lake into a tank that gravity feeds to the kitchen. This water needs to be filtered or boiled. There is an outhouse behind the quarters. There is no electricity. The volunteer must bring battery powered lanterns. Because of the dock’s exposed location, Michigan Island is often inaccessible by boat for one or more days. Volunteers should keep their schedules flexible and always bring extra supplies, because they may be temporarily stranded on the island. 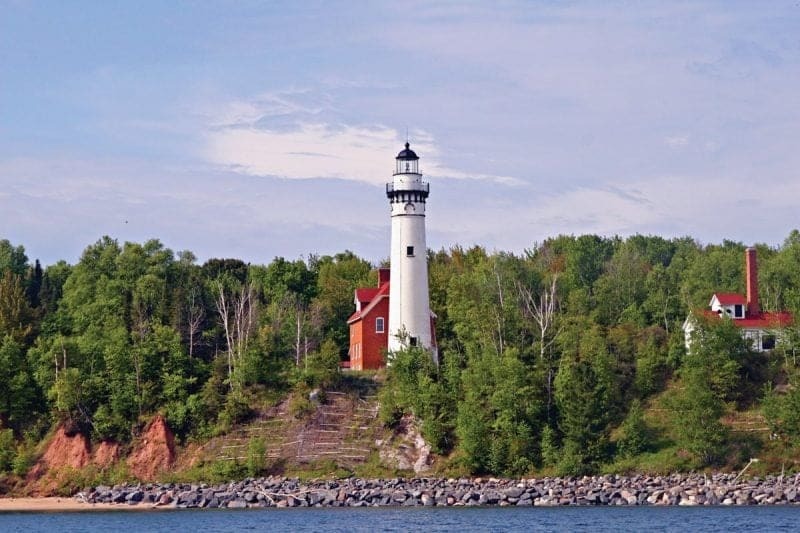 While the brownstone Sand Island lighthouse is charming, it is not used for housing. Instead volunteers stay at East Bay. East Bay is only three miles away from the mainland and is usually accessible. The housing unit on Sand is a modern two bedroom cabin with solar powered lights, hot and cold running water, but no toilet. The outhouse is across the lawn from the cabin. Other than ceiling lights, there is no electricity. There are two docks, one adjacent to the cabin and another about two hundred yards away. The lighthouse is two miles from the quarters and volunteers have to walk the trail which is flat, but can be muddy. Consequently, Sand is one of the more visited islands. Campground host duties occupy much of the lighthouse volunteers time. There are two group sites and three individual campsites on Sand. If you have questions, please email APIS_Volunteer_Coordinator@nps.gov or call at 715-779-3397. Brickyard Creek (BYC) is an environmental residential community on the shores of Lake Superior dedicated to active stewardship and tranquility. Our community is committed to maintaining this unique environment, promoting responsible educated citizens, sustaining a network of partnerships (with the broader community) and creating a legacy of responsible stewardship. If you have an enviornmental opportunities our community might be interested, please send them to the BYC Manager, Jeffery Garrett for posting here on our BYC Community website.